Parties at workshop commit to developing digital insurance in Vietnam. A digital insurance workshop was co-hosted recently by the Insurance Supervisory Agency (ISA) and BIDV MetLife, to discuss the challenges and opportunities in the development of Vietnam’s insurance industry, at which global giant insurer MetLife and related parties committed to contribute to the development of digital insurance in the country. Figures from MetLife Asia shows that Vietnam’s middle class will increase 2.5-fold by 2020 to 34 per cent of the population and will therefore lead to higher use of smartphones. Vietnam is expanding its 3G network and transitioning to 4G. About 52 per cent of the population have access to internet, which will be as high as two-thirds by 2020. Two-thirds of existing internet users spend five hours a day surfing the web for news, exchanging information, and communicating on social networks. Eighty per cent read online news, communicate on social networks, and use e-commerce. Vietnam has among the fastest growth in people using social networks in the world, at 31 per cent during the 2016-2017 period, behind only India and Indonesia, with 40 per cent and 35 per cent, respectively, and well above the global average of 21 per cent. While growing rapidly, e-commerce still accounts for only a small amount of total retail sales in Vietnam, standing at 1.2 per cent in 2017 and projected to increase to 1.5 per cent by 2020. Regardless, when users adapt to using digital services, especially e-commerce, the financial services being provided will develop and become popular, including insurance services. By 2020, Asian life insurers will digitally communicate with customers, with 100 per cent of communication being via phone and email, 90 per cent via mobile phone apps, and 80 per cent via social networks, according to MetLife Asia’s research. 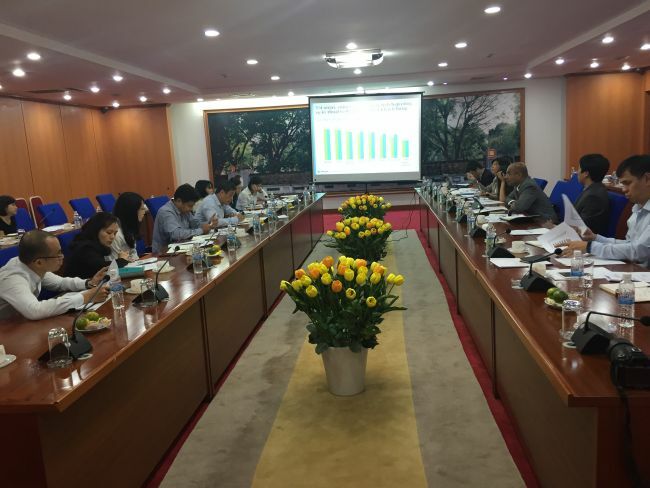 But there are five immediate steps needed for digital insurance to develop in Vietnam: raising customer awareness, and improving distribution channels, types of insurance products, requirements regarding technological foundation, and the legal framework. MetLife stands ready to provide specialists to support ISA during the process of developing the legal framework and technical systems to implement digital insurance in Vietnam. Founded in 2014, BIDV MetLife Life Insurance is a joint venture between MetLife, BIDV, and BIDV’s affiliate, the Bank for Investment and Development of Vietnam Insurance JSC (BIC). BIDV MetLife offers a comprehensive range of innovative life insurance and wealth protection solutions distributed through BIDV’s large branch network of over 700 distribution points nationwide. This cooperation between BIDV and MetLife is set to combine and uphold the advantages of all parties. The understanding of the domestic market held by BIDV, together with the solid financial capacity and global experience of MetLife, provides the foundation for BIDV MetLife to become a trusted and modern insurance provider in Vietnam. MetLife is among the largest global providers of insurance, annuities, and employee benefit programs, with nearly 100 million customers in over 50 countries, with a leading position held in Japan, Latin America, Asia, Europe, and the Middle East.